Vanished tells the story of a man and woman faced with an almost unthinkable tragedy--the mysterious abduction of their young son. In the late 1930's, in the shadow of the Lindbergh kidnapping, and as war looms in Europe, Marielle Patterson shares an elegant Manhattan brownstone with her husband, Malcolm, and their little boy, Teddy. Though the couple's lives are filled with secrets, Marielle is a devoted wife and mother, and Malcolm is a man everyone admires. On the eve of Teddy's disappearance, Marielle runs into her first love, American expatriate Charles Delauney. And when Teddy is kidnapped, Charles is first blamed, then arrested. But as the search for Teddy widens, even Marielle is scrutinized by the FBI and special agent John Taylor. Suspicions and accusations mingle with terror and heartbreak as every threat, every failure, every fear, is remembered, examined, explored. During Charles Delauney's trial a series of revelations begins to unravel the truth about Marielle, Charles, and Malcolm, uncovering the motives and passions controlling their lives. 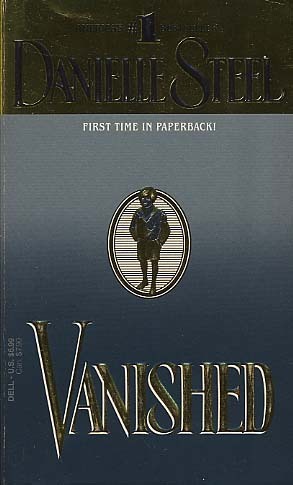 Vanished is a tale of guilt, desire, suspense, and of people drawn inexorably together, seeking the child who ...vanished.